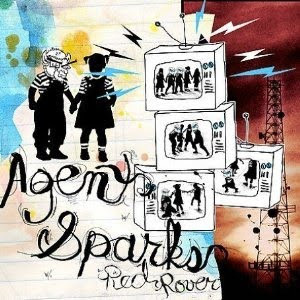 I first encountered Agent Sparks when they opened for The Bangles at The House Of Blues in Chicago a few years back. Some of The Bangles’ less hip fans (the ones who came primarily to hear “Eternal Flame”) were put off, but for those of us familiar with the more hard-edged side of Susanna, Vicki, and Debbie, the wildly energetic Agent Sparks were well-suited to the task. Plus, they were a lot of fun. Here’s a review I wrote of the Agent Sparks CD, Red Rover, which originally appeared in the Illinois Entertainer. It looks like there are some new songs available on the band’s MySpace page.